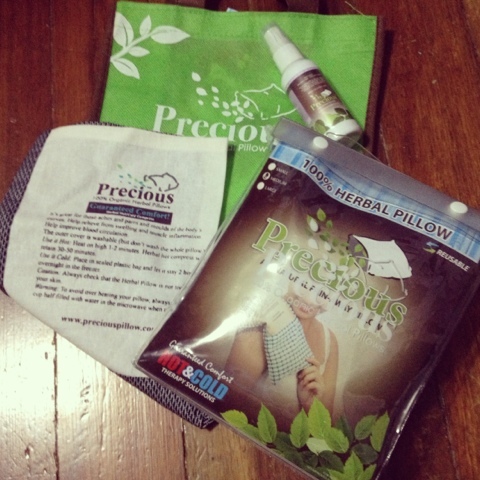 Precious Herbal Pillow | Vanity and Everything in Between. This month is a stressful month because there is alot of work to do in the office. Account Review and Audit. Yup, it's that time of the month again! I had a massage last week to relieve me from stress but I woke up the following day feeling sore. The upper muscles of my back were hurting so bad. Well, they said it wasn't because the masseuse was not gentle on me but it was due to stress. So, over the weekend, Law and I decided to buy Precious herbal pillow to alleviate my my back pain. Well, so far so good! I'm really loving the scent. Its aroma definitely hits my feels, haha! The scent already helps ease my back pain. It also lessened the back pain. We got the large one so it can cover my upper back and I'm satisfied with it! You definitely need this! I have scoliosis, too! Upper part of my back!